Hard to believe the decades fly by so fast. It was 45 years ago today that the crew of Apollo 9 took off from the Kennedy Space Center en route to a big test of the lunar module. Being March 1969, history shows that it was only about four months later when men touched the moon for the first time ever. Getting to the moon, however, required making sure that the lunar landing craft was in tip-top shape. 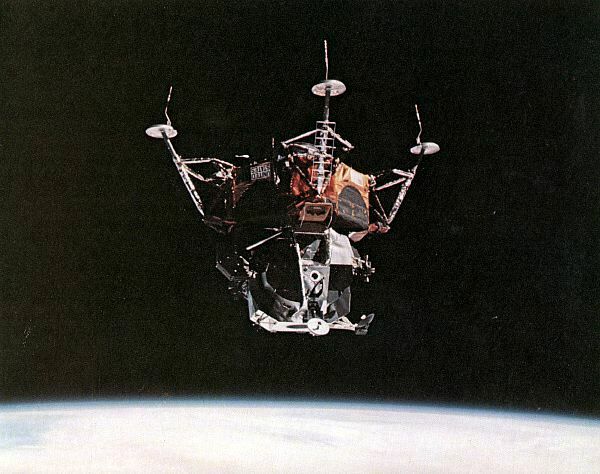 This was the first test of the lunar module in space. 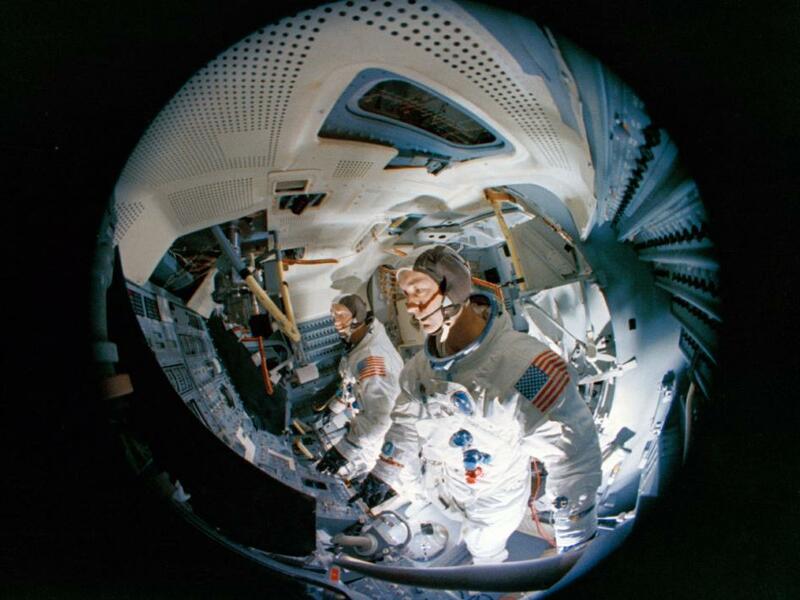 Apollo 9 astronauts Jim McDivitt, Rusty Schweickart and Dave Scott spent several days shaking out the spacecraft in the relative safety of Earth orbit. 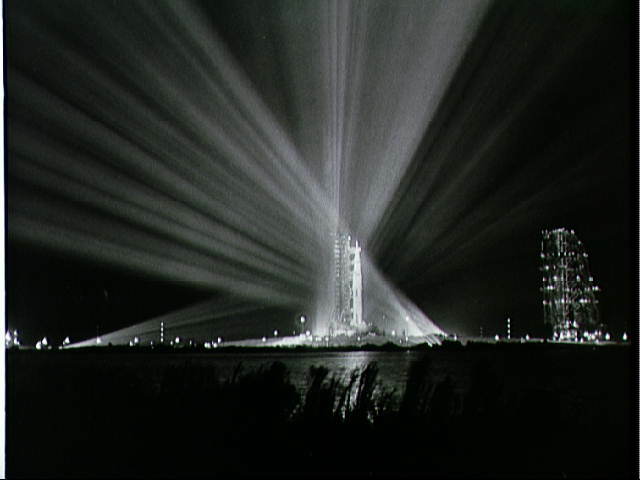 The mission is perhaps best remembered for the first docking of “Spider” (the lunar module) and “Gumdrop” (the command module), but plenty happened during their March 3-13, 1969 mission. You can relive some of the most memorable moments of training and the mission in the gallery below. More information on the mission is available at NASA. We guess that as astute readers of our publication, you know that a planetary threat from asteroids (and comets) exists. And there’s certainly more we can do; when that 17-meter asteroid blasted Russia earlier this year, Lu said most space agencies learned about it from social media! So what’s being done about these threats? Here’s a roundup of the panel discussion’s information and some related information. Since Lu is the CEO of the B612 Foundation, there was a heavy emphasis on the agency’s proposed Sentinel telescope. Intended to launch in 2018, it would survey the solar system in infrared and seek out potential hazards. To date, NASA’s NEO Observations Program has found 95 per cent of near-Earth objects larger than one kilometer, Jet Propulsion Laboratory scientist Amy Mainzer told Universe Today in a separate conversation today. Mainzer also brought us up to speed on the Near-Earth Object Camera (NEOCam) proposal, which she’s been working on since 2005. Her group received technology development funding in 2010 to improve their infrared detectors, which succeeded in passing recent tests. Their group will seek more funding for NASA in the next opportunity. Why go with the United Nations? In the panel, NASA Apollo astronaut Rusty Schweickart explained it this way: deciding how to deflect an asteroid posts risks. You might be moving the impact path past a country that would not have been at risk before the deflection. It’s best to make such moves internationally, rather than having (say) the United States make a decision that could increase Russia’s risk to an asteroid. The problem? Working by committee is slow, says former Romanian astronaut Dumitru-Dorin Prunariu: “You would think with the United Nations that we started to think about asteroids only in 2007, 8 or 9, but the first input was done by 1999 at the Unispace conference, the United Nations International Conference in Space.” People have been working hard, to be sure, but making a good, inclusive plan just takes time. An action team was formed in 2001, a working group was in place by 2007, and the adoptions by UNCOPUOS (as we stated earlier) took place this week. The panel members emphasized that it’s best to start the search early and find the threatening asteroids before things become an emergency. If a moderate-sized asteroid was discovered only a few months out, it might be better just to evacuate the affected area rather than try to pull together a last-minute mission to stop the asteroid. The B612 Foundation announced in June of this year that it plans to launch the first privately funded deep space mission, a space telescope that will map the inner solar system’s asteroid population and chart their orbits over the next hundred years. The goal is to find every potentially Earth-impacting object out there. Caption: Sentinel’s field of view. Credit: B612 Foundation. The spacecraft is called Sentinel, and it will be equipped with a 20.5-inch cryo-cooled infrared telescope that will scan for space objects such as asteroids and comets. It will be placed in orbit around the Sun, ranging up to 170 million miles from Earth, for its mission of discovery and mapping. B612 Foundation is nonprofit group of scientists and explorers who advocate exploration of asteroids and monitoring of their trajectories to protect the Earth from potentially catastrophic impacts. Other notable members of the Foundation include space shuttle and International Space Station astronaut Ed Lu (B612’s CEO), project architect Scott Hubbard, a Stanford professor who once served as the head of NASA’s Mars’ missions, and mission director Harold Reitsema, former director of space science missions at Ball Aerospace. The foundation is named after the asteroid in Antoine de Saint-Exupery’s story “The Little Prince” which brought the young prince to various destinations, and originally the B612 Foundation focused on determining the best ways for deflecting a potential incoming asteroid. But it has since shifted its focus to the current project which involves only identifying dangerous near-Earth objects. Schweickart said for years, the expectations were that NASA would be doing a project like this. While NASA’s Near-Earth Object program is scanning the skies and has found nearly 10,000 objects, or about 90 percent of the estimated objects larger than a half-mile across, according to B612, there are a half million more asteroids larger than the one that devastated the Tunguska region in northern Russia in 1908. Of those, only one percent has been mapped. Schweickart said the launch of Sentinel would be a seminal step. The Sentinel spacecraft is being built by Ball Aerospace and has been described as a mash-up of the Spitzer and Kepler space telescopes, both also designed by Ball. It’s wide-field, 24-million-pixel view should be able to map asteroids down to 40 meters. B612 is targeting launch for 2017-2018, and their launch vehicle of choice is the SpaceX Falcon9. Since the announcement of the Sentinel mission comes closely on the heels of the Planetary Resources’ announcement of their own plans to privately travel to asteroids to mine them for minerals, Universe Today asked Schweickart to compare the Sentinel to Planetary Resource’s plans. How difficult will it be for the Sentinel mission to be successful? For more information on the B612 Foundation and the Sentinel project and how you can donate, see the B612 Foundation website, or watch the video below. With asteroid 2005 YU55 passing close by Earth yesterday, this rather unsettlingly near flyby has many people wondering if we would be able to divert an asteroid that was heading for an intersection with Earth in its orbit. Of course, as natural disasters go, an asteroid strike on Earth would be extremely bad. Even relatively small space rocks could wipe millions of people off the face of the planet, and for the really big asteroids – like the one that caused the Chicxulub event 65 million years ago – it’s unlikely that humanity would survive. And yet, for all their devastation, asteroids offer a glimmer of hope. An asteroid strike is preventable, given we have the time to deal with it. There are a few different ways to change an asteroid’s orbital path, but what’s the best way to do it? First, let’s talk a little about what we’re dealing with. A Near Earth Object is an asteroid or comet whose orbit enters the Earth’s neighborhood – anything that orbits within 195 million kilometers (120 million miles) of Earth’s orbital vicinity. Some objects have been traveling with us for millions years, weaving in and out of our orbital path. Eventually, one of these objects is going to be at the wrong place at the wrong time and impact the Earth. Astronomers everywhere are aware of the problem, and there are several surveys underway to discover and catalog all of the potential Earth crossing asteroids, such as the Spaceguard Survey, working to discover all of the near Earth asteroids larger than 1 km in diameter. Rocks above this size have the potential to end civilization as we know it, so it would be good to know if any of them are heading our way. But objects as small as 140 meters across will cause regional damage, and even the death of millions if one happens to strike a major city. These smaller rocks are a priority too. As of November 03, 2011, 8,421 Near-Earth objects have been discovered. Some 830 of these NEOs are asteroids with a diameter of approximately 1 kilometer or larger. Also, 1,262 of these NEOs have been classified as Potentially Hazardous Asteroids that have the potential to make close approaches to the Earth, with a size large enough to cause significant regional damage in the event of impact. Additionally, recent results from NASA’s Wide-field Infrared Survey Explorer, or WISE spacecraft – which with the other surveys has helped find about 90 percent of the largest near-Earth asteroids — astronomers now estimate there are roughly 19,500 mid-size near-Earth asteroids out there, meaning the majority of these mid-size asteroids remain to be discovered. These are objects between 100 and 1,000 meters (330 and 3,300-feet) wide. Astronomers are working to create a comprehensive list of every dangerous space rock out there. What if there’s an asteroid with our name on it? What action can we take to reach out and destroy it, or at least change its trajectory away from a collision with the Earth? We’re not talking about an Armageddon or Deep Impact scenario here; there’s no way to stop an asteroid that’s going to impact us in just a few months — we don’t know how and don’t have the technology. But let’s say we’ve got a few decades warning. How could we stop it? The best way to test it would be to have NASA, or perhaps a consortium of space agencies, carry out an actual mission to test the entire system. Schweickart described two types of “deflection campaigns” for a threatening asteroid: a kinetic impact would roughly “push” the asteroid into a different orbit (a bigger version of what happened with the Deep Impact spacecraft) and a gravity tractor or space tug would slowly pull on the asteroid to precisely trim the resultant change course by using nothing more than the gravitational attraction between the two bodies. Together these two methods comprise a complete deflection campaign, using existing technology. Every Hollywood story dealing with asteroids always involves packing nuclear warheads on board a spaceship and then flying out to blow up the asteroid. Kaboom! Problem solved? Not exactly. The science in these movies is misleading at best, and probably just plain wrong. Plus, as Schweickart stresses, this is probably a really bad idea. He believes that there the problem of creating many smaller and just as deadly pieces of rock by blowing up a large asteroid (and it might actually increase its destructive power.) But in a report put out by the National Research Council in 2010, scientists admit that nuclear explosions are the only current, practical means for dealing with large NEOs (diameters greater than 1 kilometer) or as a backup for smaller ones if other methods were to fail. *Update: That said, another mitigation plan also involves nuclear weapons, and is called Nuclear Ablation. This would involve detonating a nuke in close proximity to an asteroid and the radiation vaporizes its surface generating an explosive thrust and a change in velocity in response. In their 2007 NEO Workshop Report NASA’s Program Analysis and Evaluation determined that such an approach would be 100 times more effective than a kinetic impactor. For a more elegant idea rather than blowing it up, physicist Gregory Matloff has studied the concept of using a two-sail solar photon thruster which uses concentrated solar energy. One of the sails, a large parabolic collector sail would constantly face the sun and direct reflected sunlight onto a smaller, moveable second thruster sail that would beam concentrated sunlight against the surface of an asteroid. In theory, the beam would vaporize an area on the surface to create a aerojet of materials that would serve as a propulsion system to alter the trajectory of the NEO. Another more elegant technique also uses concentrated light to gently move an asteroid. This project, which has been sponsored by the Planetary Society, is called “Mirror Bees.” This uses many small spacecraft — each carrying a mirror — swarming around a dangerous asteroid. The spacecraft could precisely tilt their mirrors to focus sunlight onto a tiny spot on the asteroid, vaporizing the rock and metal, and creating a jet plume of super-heated gases and debris. Alternatively, the satellites could contain powerful lasers pumped by sunlight, and the lasers could be used to vaporize the rock. The asteroid would become the fuel for its own rocket — and slowly, the asteroid would move into a new trajectory. Another interesting technique from the University of Alabama in Huntsville would involve placing a laser system into space, or at a future Moon base. When a potential Earth-crossing asteroid is discovered, the laser would target it and fire for a long period of time. A small amount of material would be knocked off the surface of the asteroid, which would deflect its orbit slightly. Over a long period of time, the asteroid course correction would add up, turning a direct hit into a near miss. One extremely inventive concept involves using a satellite to wrap an asteroid with ribbons of reflective Mylar sheeting. Covering just half of the asteroid would change its surface from dull to reflective, possibly enough to allow solar pressure to change the asteroid’s trajectory. This idea involves the use of multiple landers to rendezvous and attach to a threatening asteroid, drill into its surface, and eject small amounts of the asteroid material away at high velocity using a mass driver (rail gun or electromagnetic launcher). The effect, when applied over a period of weeks or months, would eventually change the heliocentric velocity of the target asteroid and thereby alter its closest approach to Earth. Other ideas include attaching a regular rocket motor to the asteroid; painting an asteroid to make it darker or lighter so that it absorbs and re-radiates more or less sunlight, affecting its spin and eventually its orbit; and a shepherding ion beam. Civil defense (evacuation, sheltering in place, providing emergency infrastructure) is a cost-effective mitigation measure for saving lives from the smallest NEO impact events and would also be necessary part of mitigation for larger events. For more information, read The Association of Space Explorers’ International Panel (chaired by Schweickart) report: Asteroid Threats: A Call For Global Response. National Research Council report: Defending Planet Earth: Near-Earth Object Surveys and Hazard Mitigation Strategies. Final Report. Fraser Cain contributed immensely to this article. Imagine, if you can, the first time human eyes see Earth as a distant, pale blue dot. We’ve dreamed of deep space missions for centuries, and during the Apollo era, space enthusiasts assumed we’d surely be out there by now. Nevertheless, given the current state of faltering economies and potential budget cuts for NASA and other space agencies, sending humans beyond low Earth orbit might seem as impossible and unreachable as ever, if not more. But NASA has been given a presidential directive to land astronauts on an asteroid by 2025, a mission that some say represents the most ambitious and audacious plan yet for the space agency. Compounding the issue is that NASA has not yet decided on a launch system capable of reaching deep space, much less started to build such a rocket. Can NASA really go to an asteroid? A human mission to an asteroid is a feat of technical prowess that might equal or exceed what it took for the US to reach the Moon in the 1960’s. Remember scientists who thought the moon lander might disappear into a “fluffy” lunar surface? That reflects our current understanding of asteroids: we don’t know how different asteroids are put together (rubble pile or solid surface?) and we certainly aren’t sure how to orbit and land on one. “One of the things we need to work on is figuring out what you actually do when you get to an asteroid,” said Josh Hopkins from Lockheed Martin, who is the Principal Investigator for Advanced Human Exploration Missions. Hopkins leads a team of engineers who develop plans and concepts for a variety of future human exploration missions, including visits to asteroids. He and his team proposed the so-called “Plymouth Rock” mission to an asteroid (which we’ll discuss more in a subsequent article), and have been working on the Orion Multi-purpose Crew Vehicle (MPCV), which would be a key component of a human mission to an asteroid. Hopkins said he and his team have been working on developing some technologies that are fairly “agnostic” about the asteroid – things that will work on a wide variety of asteroids, rather than being specific to an iron type- or carbonaceous-type asteroid. 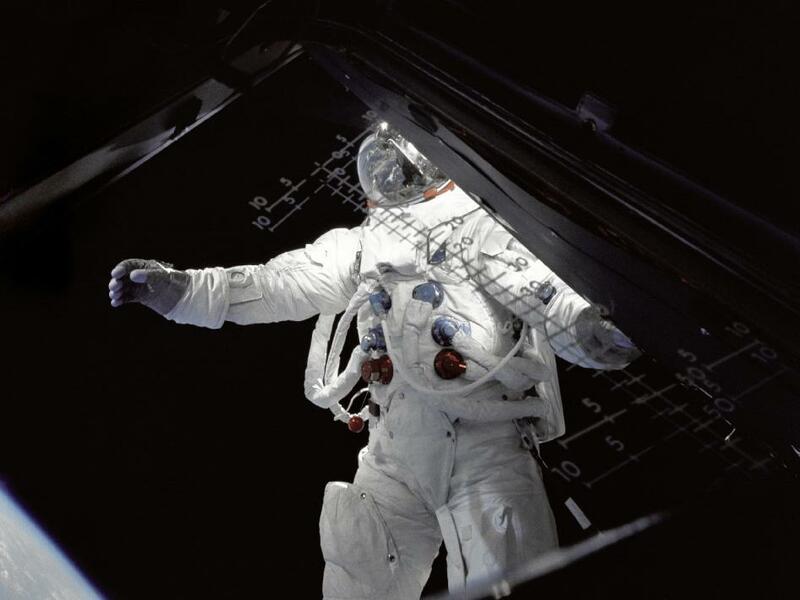 A weak gravity field means astronauts probably couldn’t walk on some asteroids – they might just float away, so ideas include installing handholds or using tethers, bungees, nets or jetpacks. In order for a spaceship to stay in orbit, astronauts might have to “harpoon” the asteroid and tether it to the ship. Hopkins said many of those types of technologies are being developed for and will be demonstrated on NASA’s OSIRIS-REx mission, the robotic sample return mission that NASA recently just selected for launch in 2016. “That mission is very complimentary to a future human mission to an asteroid,” Hopkins said. What benefits would a human asteroid mission provide? Space shuttle astronaut Tom Jones says he thinks a mission to near Earth objects is a vital part of a planned human expansion into deep space. It would be an experiential stepping stone to Mars, and much more. “Planning 6-month round trips to these ancient bodies will teach us a great deal about the early history of the solar system, how we can extract the water known to be present on certain asteroids, techniques for deflecting a future impact from an asteroid, and applying this deep space experience toward human Mars exploration,” Jones told Universe Today. “Because an asteroid mission will not require a large, expensive lander, the cost might be comparable to a shorter, lunar mission, and NEO expeditions will certainly show we have set our sights beyond the Moon,” he said. But Jones – and others – are concerned the Obama administration is not serious about such a mission and that the president’s rare mentions of a 2025 mission to a nearby asteroid has not led to firm NASA program plans, realistic milestones or adequate funding. Jones said he wouldn’t be surprised if nothing concrete happens with a NASA deep space mission until there is an administration change. Can NASA do such a mission? Will it happen? If so, how? Which asteroid should humans visit? In a series of articles, we’ll take a closer look at the concepts and hurdles for a human mission to an asteroid and attempt to answer some of these questions. During the past 24 hours, the Earth has been hit by about a million small meteoroids – most of which burned up in the atmosphere as shooting stars. This happens every day. And occasionally – once every 10,000 years or so — a really big asteroid (1 km in diameter or larger) comes along and smacks Earth with an extinction-level impact. That idea might cause some of us to lose some sleep. But in between are other asteroid hits that occur every 200-300 years where a medium-sized chunk of space rock intersects with Earth’s orbit, producing a Tunguska-like event, or worse. There are likely about one million Near Earth Objects out there that could do substantial damage if one hit the Earth. This isn’t anything new – Earth has been in this same environment for billions years. Schweickart discussed in a recent Universe Today article that we do possess the technology to move asteroids or change their orbits, and that this technology does need to be tested, and tested soon. But since an impact event could affect the entire world, the decisions on policies and international agreements about asteroid mitigation could actually pose a bigger challenge in dealing with an asteroid threat than putting the technology together. The Mission Planning and Operations Group (MPOG) workshop included astronauts and space scientists and was the latest in a series of workshop designed to offer suggestions to the UN Committee on the Peaceful Uses of Outer Space. Included were representatives from NASA, ESA, the Secure World Foundation and the Association of Space Explorers. They are working on defining future planning tasks and studies for the Group that will later be merged with findings of other experts to create a final report to the UN committee. This report will recommend how to react to an impact threat. But there are issues such as, how changing an asteroid’s orbit could make it miss one area on Earth and instead hit another area. 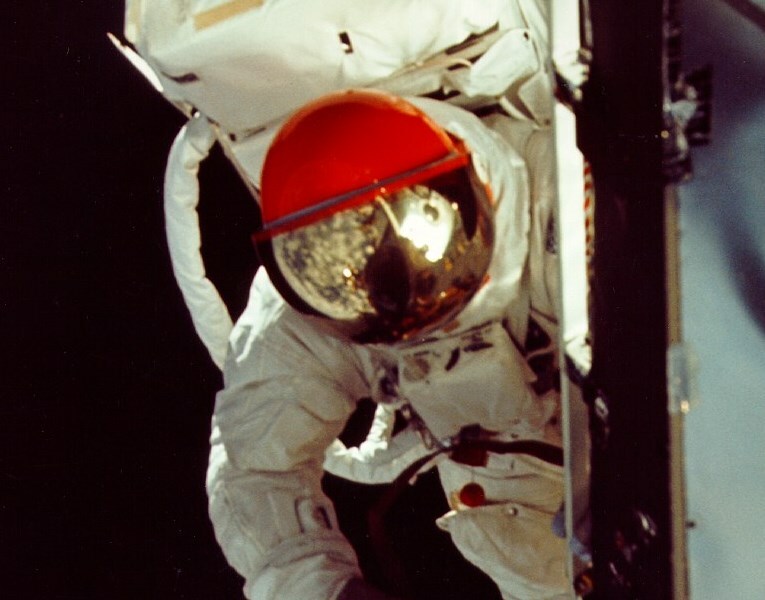 Schweickart and the Association of Space Explorers, have been working on this issue for over 9 years and are just now beginning to see a little headway in the bureaucratic process. Everyone at the workshop agreed that political decisions and political awareness is something that has to be taken seriously. “Two weeks ago a small object passed in between the Earth and the Moon,” said Schweickart,“ and on Halloween an object half a kilometer in diameter Is going to pass within five lunar distances of Earth — in terms of astronomical distances, that is very close. These things are happening, but I hope we areable to act soon and act responsibly without having to have a reminder” – meaning the wake-up call of an actual impact and not being prepared for it. Apollo 9 astronaut Rusty Schweickart is among an international group of people championing the need for the human race to prepare for what will certainly happen one day: an asteroid threat to Earth. In an article on Universe Today published yesterday, Schweickart said the technology is available today to send a mission to an asteroid in an attempt to move it, or change its orbit so that an asteroid that threatens to hit Earth will pass by harmlessly. What would such a mission entail? In a phone interview, Schweickart described two types of “deflection campaigns” for a threatening asteroid: a kinetic impact would roughly “push” the asteroid into a different orbit, and a gravity tractor would “tug slowly” on the asteroid to precisely “trim” the resultant change course by using nothing more than the gravitational attraction between the two bodies. Together these two methods comprise a deflection campaign. Most important, the gravity tractor spacecraft would arrive prior to the kinetic impactor, precisely determine the asteroid’s orbit and observe the kinetic impact to determine its effectiveness. Following the kinetic impact it would then determine whether or not any adjustment trim were required. The second issue is, even if the NEO’s orbit has been changed so that it won’t hit Earth this time around, there’s the possibility that during its near miss it might go through what is called a “keyhole,” whereby Earth’s gravity would affect it just enough that it would make an impact during a subsequent encounter with Earth. This is a concern with the asteroid Apophis, which is projected to miss Earth in 2029, but depending on several factors, could pass through a keyhole causing it to return to hit Earth in 2036. As for the spacecraft, we can use a design similar to vehicles that have already been sent into space. But it hasn’t been demonstrated and Schweickart says we need to do so. If we discover an asteroid heading directly towards Earth, are we ready to deal with the challenges of either deflection strategies or an evacuation prior to impact? 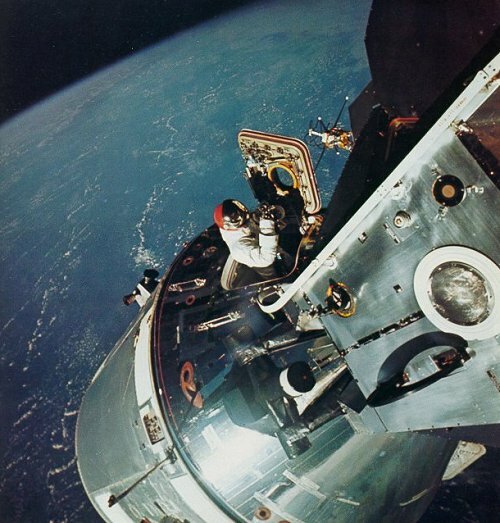 Apollo 9 astronaut Rusty Schweickart has spent years championing the need for the human race to prepare for what will certainly happen one day: an asteroid threat to Earth. Schweickart is Chairman of the Board of the B612 Foundation, a non-profit private foundation that supports the development and testing of a spaceflight concept to protect the Earth from future asteroid impacts, and he says we have the technology today to deal with it, but nothing has been verified or tested. “We need to mobilize that technology and achieve an international consensus on what actions should be taken,” he told Universe Today. Schweickart also co-chairs — with another former astronaut, Tom Jones — the Planetary Defense Task Force of the NASA Advisory Council. On October 6, 2010, the Task Force submitted a list of five recommendations to the Council to suggest how NASA should organize, investigate, prepare, and lead national and international efforts defending our planet from an asteroid impact. The report stresses that NASA should significantly improve the ability to discover and track potential NEO impactors to allow for early detection, develop effective impact mitigation techniques, and prepare an adequate response to the range of potential impact scenarios. These recommendations have been approved by the Advisory Council, and the report was submitted to the NASA Administrator. Then, the Office of Science and Technology Policy (OSTP) is supposed to make a decision by tomorrow – Friday, October 15, 2010 –to make assignments in the US government as to what the breakdown of work should be to protect the Earth from an asteroid impact. Schweickart said the B612 foundation, and the Association of Space Explorers (ASE; the professional organization of astronauts and cosmonauts from around the world) and every planetary defense conference held recently has discussed the need for such a capability validation. But the recommendations made by the PDTF are, for now just suggestions, and certainly not a mandate for NASA to prepare in a meaningful way for an asteroid threat. However, if the past is any indication, any mandate wouldn’t necessarily mean a mission would happen soon. Schweickart said the Task Force heard presentations on perhaps better ways to complete that Congressional goal and their report indicates that at least 87% of the large asteroids whose impacts could pose a global threat to our civilization have been discovered. Right now, none pose a credible threat of a collision with Earth for the foreseeable future. But the discovery rate of the much more numerous smaller NEOs, — which represent a regional or local impact hazard — “will soon confront us with objects presenting worrisome but uncertain probabilities for a future collision with Earth. Such situations will appear more frequently as the discovery rate increases, and the nation presently has no clear policy on how to address such a situation,” the report says. Tomorrow: What would an asteroid deflection campaign entail?